Making your own magnesium oil is extremely easy, great for your health, and can save you money. I will share with you the step-by-step instructions for how you can make our own magnesium oil. 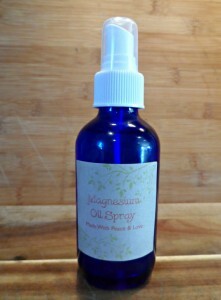 You only need 2 ingredients and a spray bottle to store your magnesium oil in, easy peasy! I have been using magnesium oil spray daily for quite some time and I am enjoying many health benefits from it. Most people are deficient in magnesium and don’t even know it. You can read my post about the invisible deficiency of magnesium here for more information. Magnesium is so very important to your body and it is becoming more difficult to obtain through diet therefore it is beneficial to supplement magnesium to maintain your healthy, happy, human body. Applying magnesium spray to your skin can be the easiest and most effective way to boost your magnesium levels. So, let’s get to it. Follow these simple directions to make you own magnesium spray for ultimate health (printable version at the bottom of post). 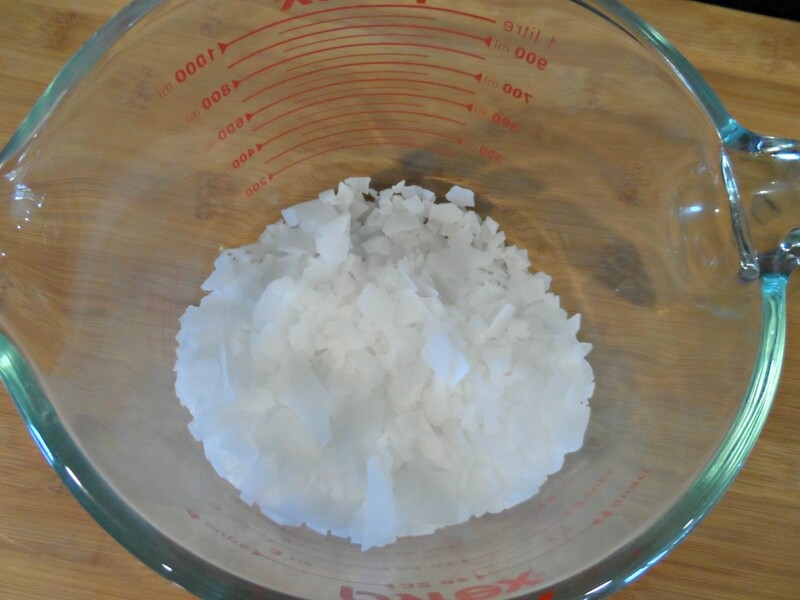 If you want to make a smaller or larger batch you simply use equal parts distilled water & magnesium chloride flakes. 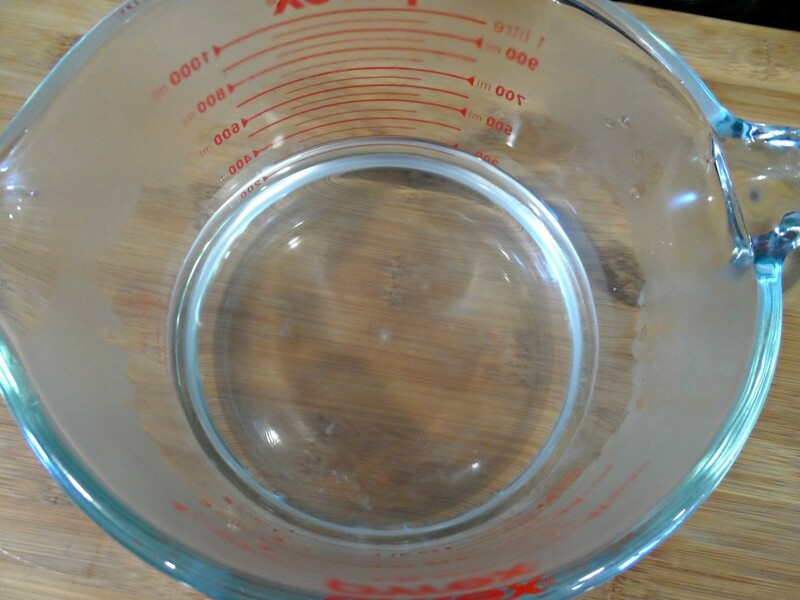 Place your distilled water in a pot and bring to a boil. 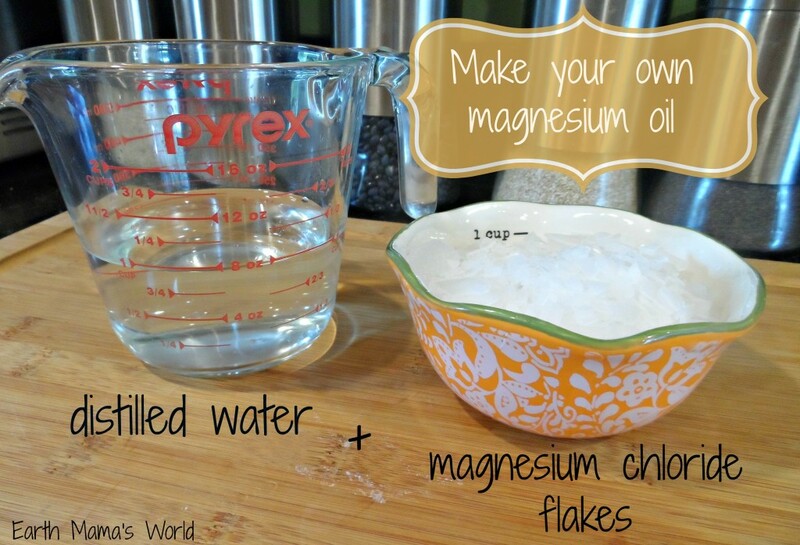 Place your magnesium chloride flakes in a glass dish. Once your water boils pour it into the glass mixing dish with your flakes. Stir it with a non-metal spoon until the flakes completely dissolve. 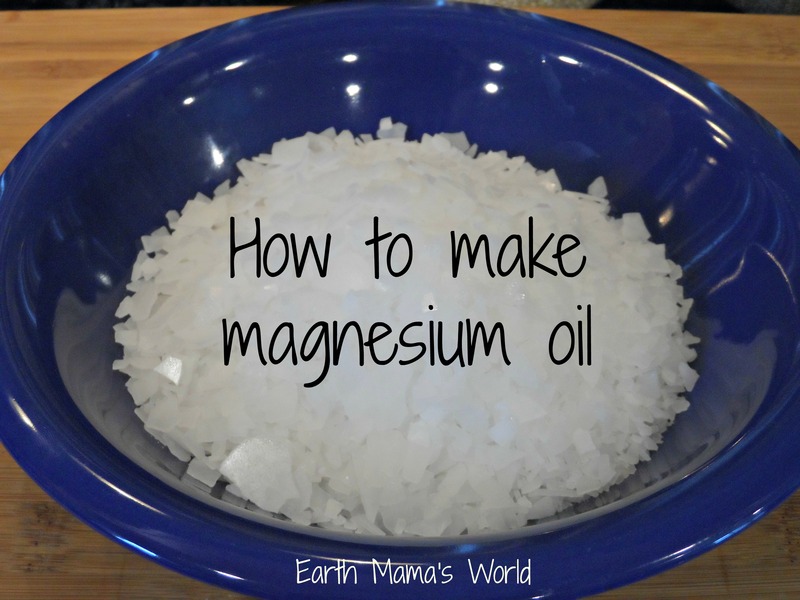 There you have it, you just made your own magnesium oil! And as I offer with many of my homemade hygiene items, if you don’t want to make your own you can always hop over to my Etsy Shop and let me make it for you! I spray 20 sprays on my body daily. I spray it on my legs, arms, and stomach. I usually do this after a shower, be aware if you have recently shaved it can tingle/sting a bit…similar to when you shave and take a dip in the ocean, or before bed. If you use it after the shower simply let it dry before applying any moisturizer. My kids ask for magnesium oil for their growing pains. My son likes me to spray it behind his knees before going to bed. I discovered how to make my own magnesium oil from Wellness Mama. I couldn’t believe how easy it is to make! I, like Wellness Mama, feel that making my own magnesium oil is safe and can definitely tell that my health is benefiting from this supplementation. However, Ancient Minerals, the maker of the magnesium flakes that I use to make my own magnesium oil, recently posted about the differences between homemade magnesium oil made from magnesium flakes and their pre-made magnesium oil, you can read about that here. I hope that you have found this helpful, to see more of my natural living posts please click here. Improve sleep, reduce stress, and become more healthy by supplementing with magnesium spray! 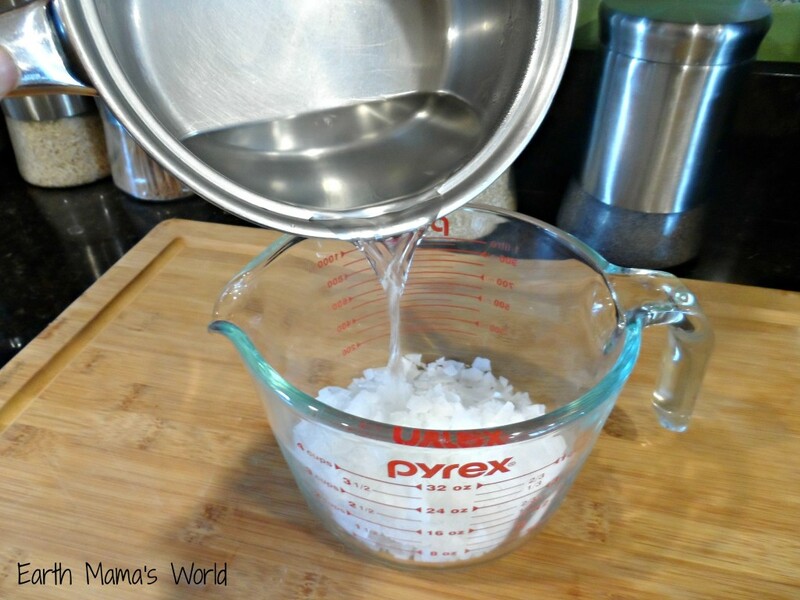 Place magnesium chloride flakes in a glass mixing bowl. Pour boiling water over magnesium chloride flakes. Stir with a non-metal spoon until magnesium chloride flakes have completely dissolved. 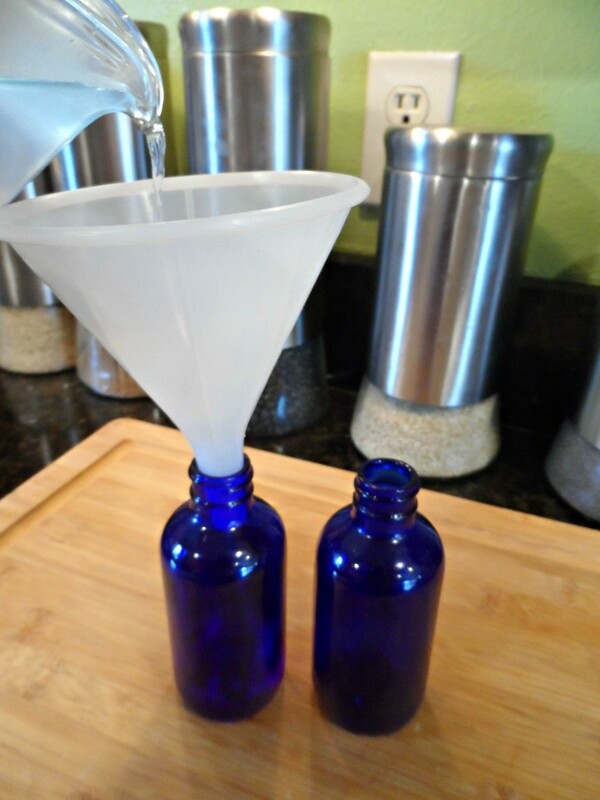 Let cool and pour into glass spray bottles. This post contains affiliate links. If you purchase an item by clicking through on this link it costs you nothing extra but I receive a small portion. Your clicking through is GREATLY appreciated! Can’t wait to make this – anything to reduce stress! Thank you so much for your wonderful posts. Thank you for stopping in! Stress is a crazy thing 😉 This spray does help a bunch! I am glad that it works well for him! I love it and can really tell when I don’t use it. It has made such a difference with me Deborah. I sleep better and stress less. Thank you for hosting the party, there are so many awesome links! Can we add essential oils to the mix? 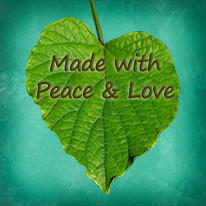 I plan to make 2-3 spray bottles and would like to use stress away, calming and sleepy time to farther the affects. What are your thoughts? I think that would work wonderfully!